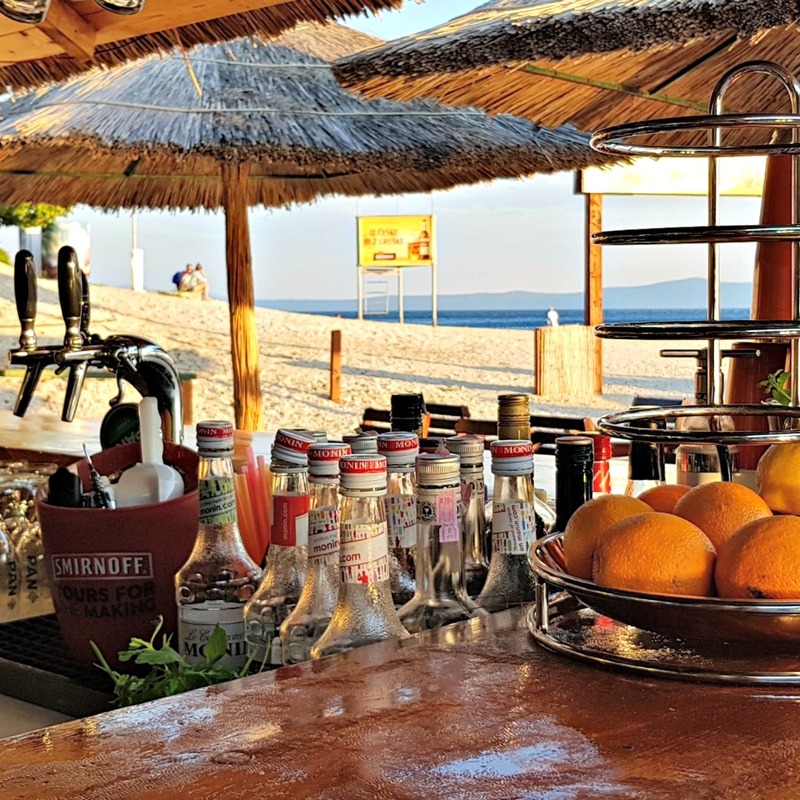 Only a five minute walk from TUI BLUE Jadran, you’ll find the beach bar Michigan. 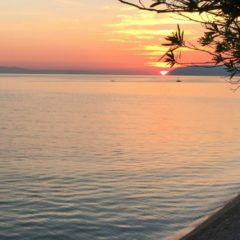 With colourful cocktails, eclectic dancers, themed nights, DJ parties and concerts, Michigan is a small piece of the Caribbean in Tučepi. I think it’s great that you can enjoy the nightlife after sunset, but also order a morning coffee or refresh yourself with a juice in the afternoon. Michigan, lovely by day and by night. 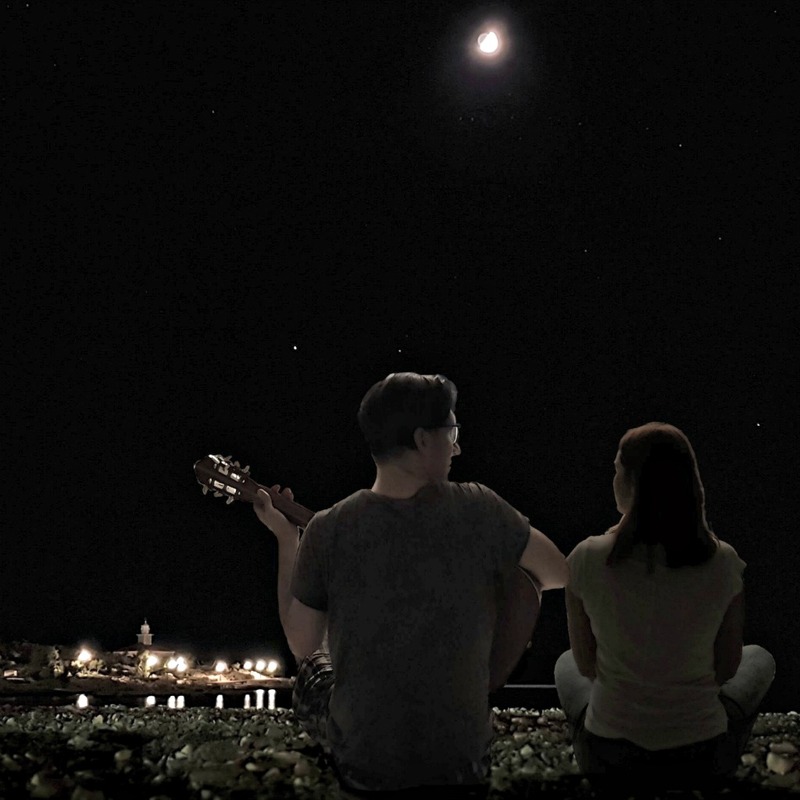 Enjoying the nightlife doesn’t mean that you can’t spend a relaxing evening every now and then. 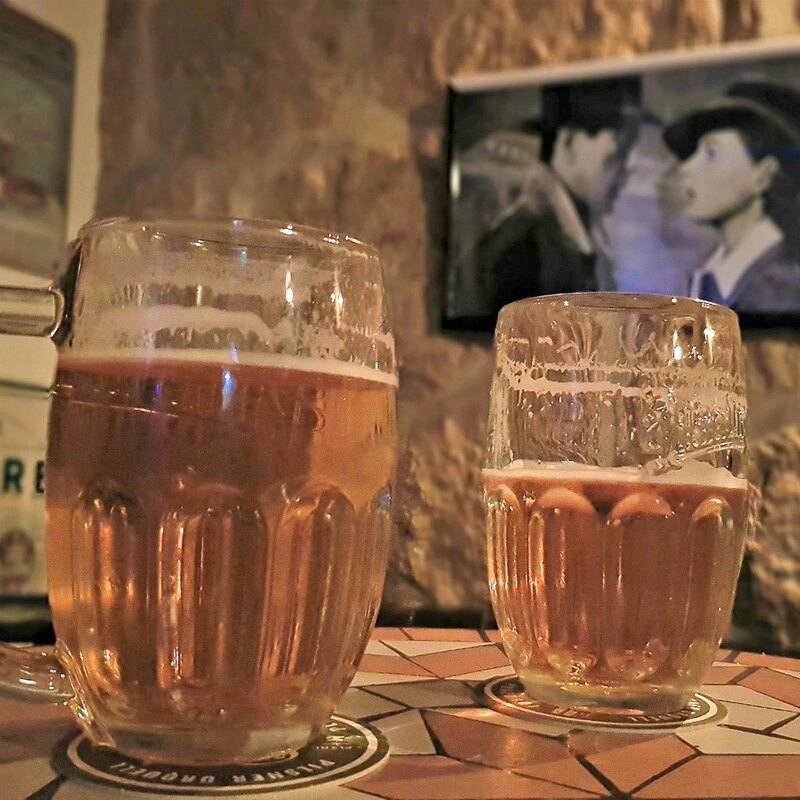 Teuta is a modern bar with a local flair where you can find me at least three times a week. 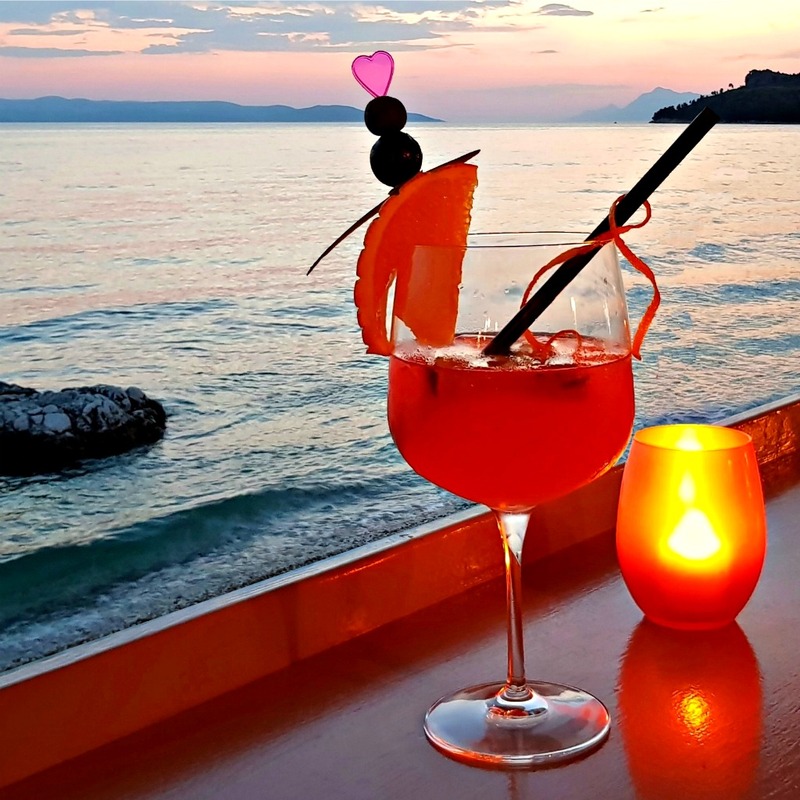 Here, I can enjoy the sea air, the view, the atmosphere and a special bitter cocktail that bears the name of both the bar and a brave, Illyrian queen. Come on over – you won’t regret it! A delicious cocktail and a beautiful view. 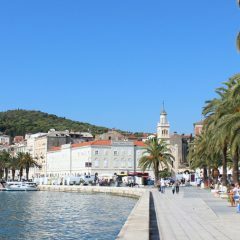 In the centre of Tučepi, you can find Cinnamon – a lounge bar overlooking the harbour. With a piña colada or blue lagoon in hand, I often sit in a cosy armchair on the roof terrace and gaze at the red-painted sky behind the tall palm trees. With a song from the 80s in the background, I feel like I’m in the TV show Miami Vice. All that’s missing is the white blazer. Is there a better way to enjoy the sunset? I don’t think so! There is always something going on in party central, Lištun Street! In my opinion, there’s no better place than this one if you are looking for a real party atmosphere in July and August. 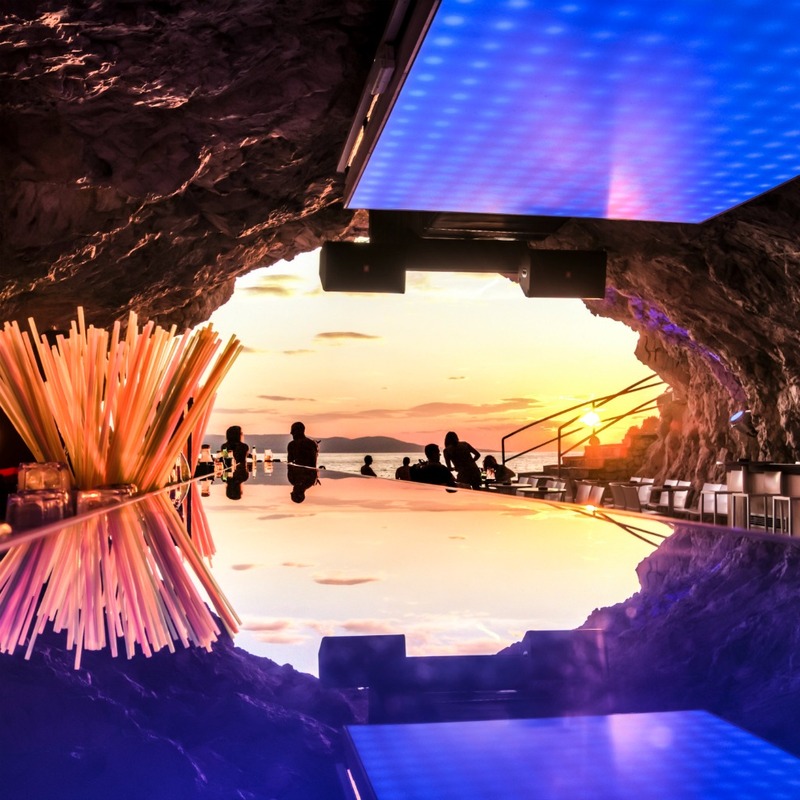 Hidden in a cave right on the beach is the renowned club Deep. Here, you can enjoy an unforgettable evening with house, techno, pop, and R&B tunes – either at tables on the beach, on the stone terrace with a magical view of the sea, or on the dance floor. Trust me, given the unique location, Deep is worth a visit. Deep, one of the most spectacular clubs in Europe! 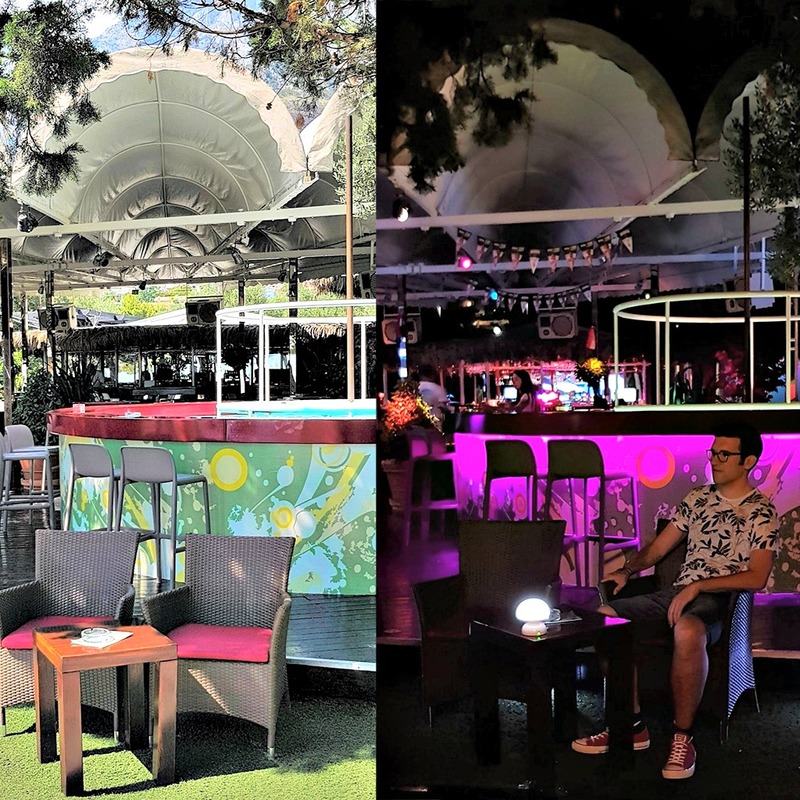 The trendy club Petar Pan is only open from July to early September, which I think is a shame. 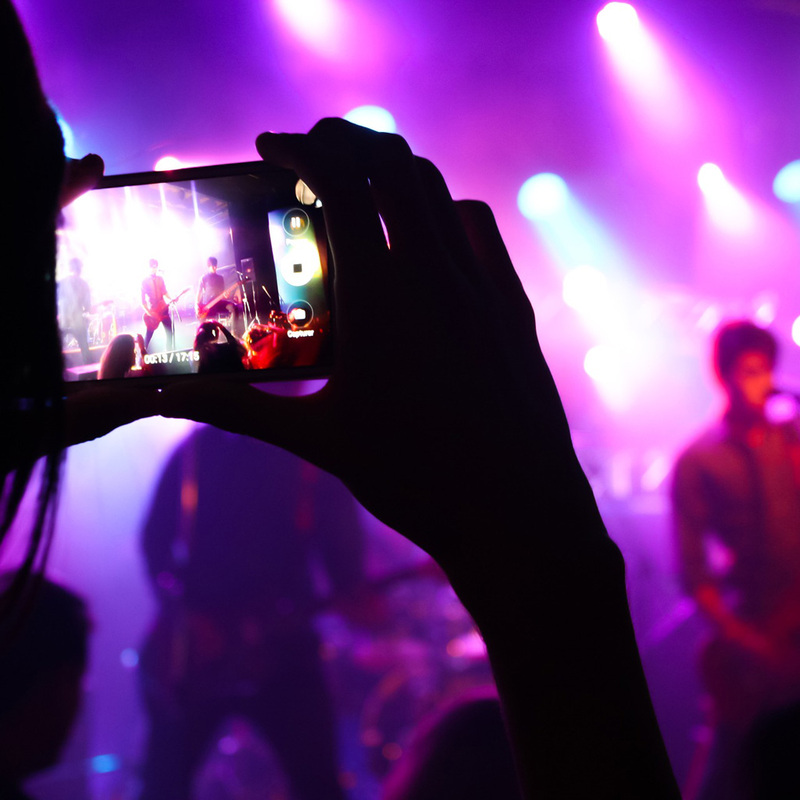 Not only do the most famous singers from Southeast Europe appear here, but popular local and international party music is also played until the early morning hours. If you’re into Balkan beats, Petar Pan is the right choice for you! Live music at the Petar Pan. There are days when I just want to have some fun even before the sun sets into the sea. That’s when I make my way to Buba Beach Bar (Buba means “beetle” or “VW Beetle”). After a short splash in the sea and a few minutes sunbathing, I’m ready to celebrate. I like to spend my afternoons at the after-beach parties with cool cocktails and a great sound system. Those who are really brave can try bungee jumping from a crane right on the sea. 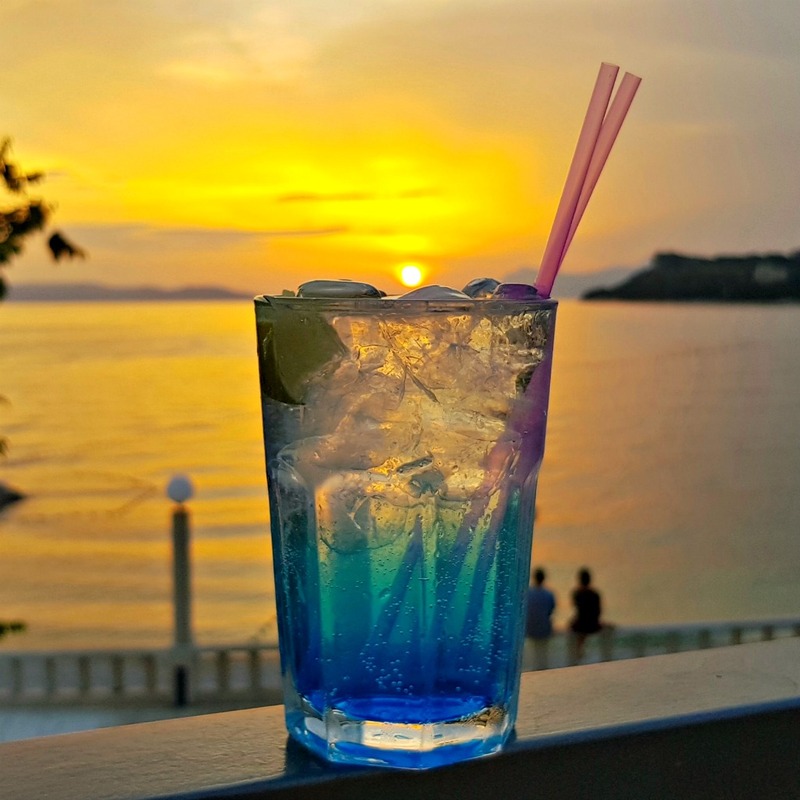 The nightlife in Makarska can also take place during the day – you just have to be in the right mood! A beach bar straight from a travel brochure. Gin has become very popular again in recent years. In the past I didn’t find this drink very interesting. However, it’s been poured into my glass a lot lately, so I have nothing against it. 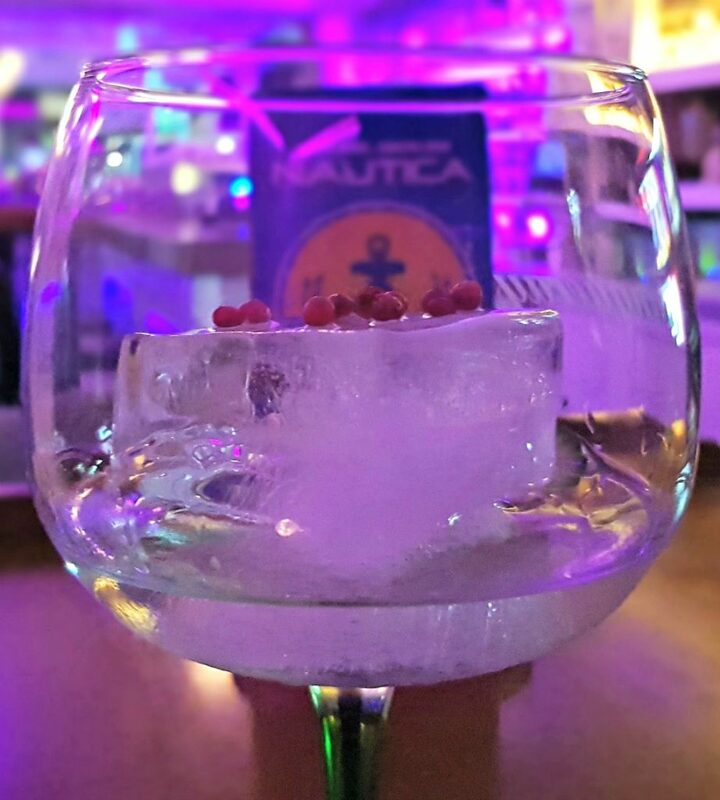 This often happens at Nautica Bar in Makarska, where you can choose from 17 varieties of gin. 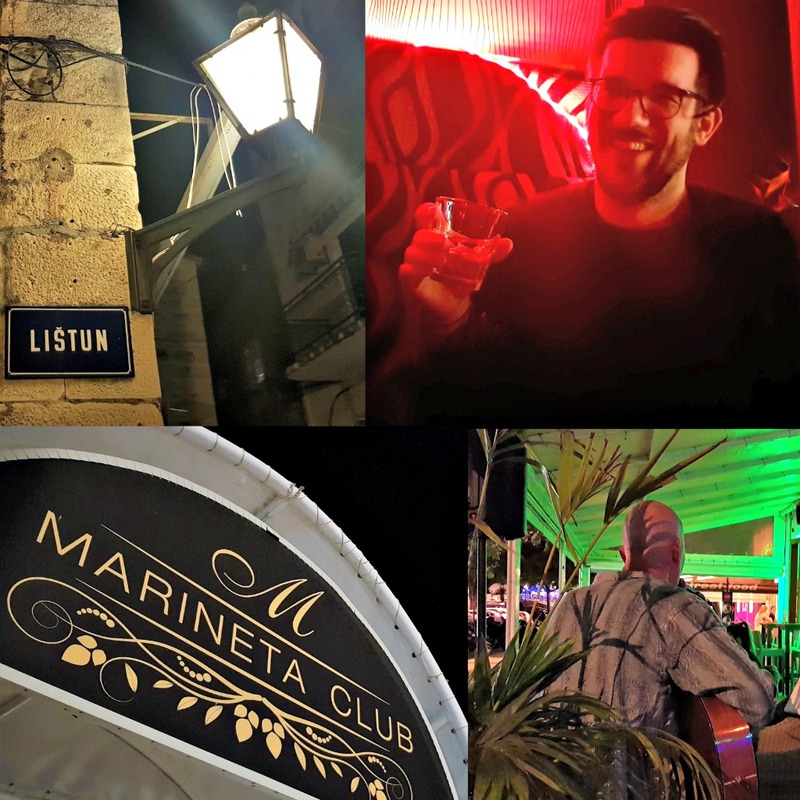 As the restaurant isn’t far from Lištun Street, it is the ideal place to start your nightlife in Makarska! At Nautica, the devil is in the detail. This mix of a pub and a typical Dalmatian cafe is perhaps the most popular establishment in Makarska. With a huge selection of beer, great coffees, a pub quiz every Monday, and experienced DJs that successfully mix rock, pop, and funk music, it’s no wonder. 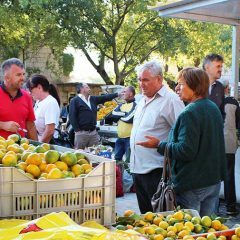 Pivac is not only the centrepiece of nightlife in Makarska, but also an all-day meeting place for all generations. Sometimes it just takes a beer. Sometimes I just feel like spending the evening among friends. I don’t want to go to a restaurant or a nightclub, but also don’t want to stay at home. That’s when I take a beach towel and a bottle or two of beer and meet up with my buddies at the beach. Someone always shows up with a guitar and sings until the seagulls wake up! Preferably without audio recordings! 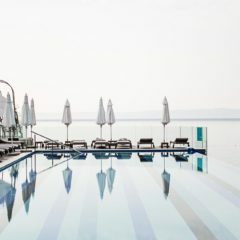 Want to experience, not just the nightlife of Makarska and Tučepi, but also the benefits of a first-class hotel? Then the TUI BLUE Jadran is the perfect starting point for your excursions into the region’s vibrant nightlife. Relaxed, easygoing and always ready for a chat: Marko likes movies, music and is a real local expert for everything in and around Tučepi.